For kids across Arizona another year of school is back in session. The lazy days of summer are about to be replaced with manic mornings as families hustle to return to their routines. But at St. Vincent de Paul, school has been in session all summer long. Each afternoon in the Dream Center our students are learning their ABCs, practicing their penmanship and gaining exposure to the world of STEM . Our Dream Center offers a transformative experience, not just by meeting a student’s intellectual hunger, but by showing them the personal consideration and individual support that will inspire them to do big things. The Dream Center aims to inspire the next generation of storytellers by providing ample opportunities for children to develop their reading skills. Earlier this summer, St. Vincent de Paul hosted Southwest Human Development’s annual Summer Reading Program. The program promotes early childhood literacy by providing free books for students of every age. 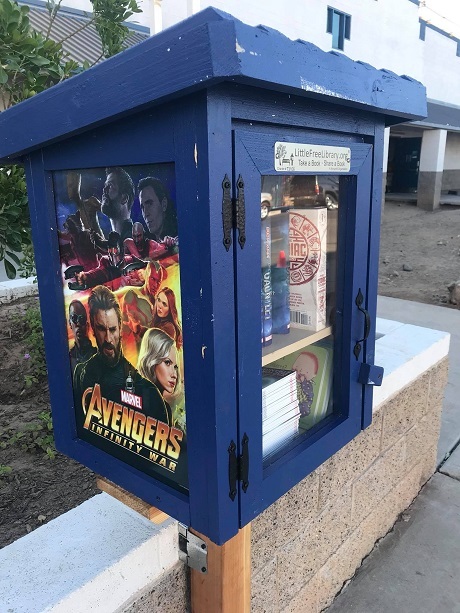 Additionally, the Dream Center received a limited-edition Avengers: Infinity War-themed Little Free Library filled with books! The library will be continuously be stocked with Avengers books and other epic stories for the next two years. While many children in the Dream Center were making strides towards improving their reading skills, simultaneously our youngest students were preparing for kindergarten. Volunteers provided educational encouragement by helping each child learn the alphabet and how to count to 20. For some of these students, letter writing was a challenge. Recognizing the need for penmanship practice, writing worksheets became part of the daily curriculum. Over the summer, squiggles became lines and lines formed letters until each student could write their name. In addition to skill development and homework help, this summer the Dream Center provided a variety of enriching educational activities—like science Thursdays. Whether it’s building model airplanes or learning about the chemical reaction that occurs when Coca-Cola is added to Mentos, each week our students are given the chance to participate in educational activities that could determine their future as students, professionals and individuals. Ultimately, the Dream Center is about empowering children: to learn, to grow stronger, to connect. In many ways, this empowerment starts with the necessary supplies to make the new school year a success. 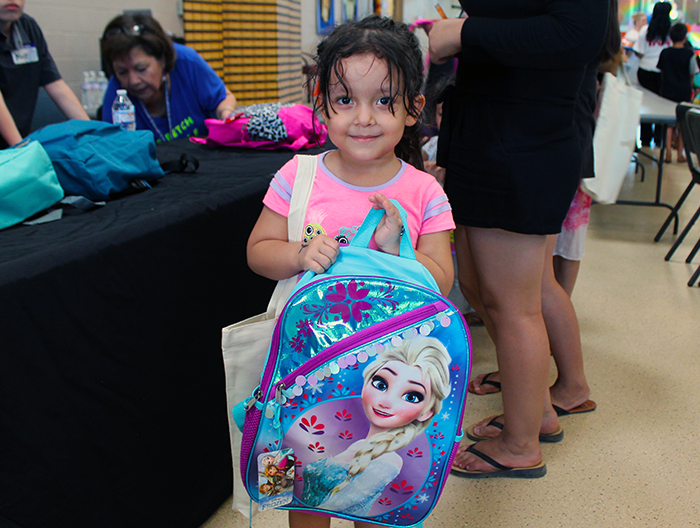 Annually, St. Vincent de Paul hosts a back-to-school night where Dream Center students and their families receive a free backpack filled with school supplies. 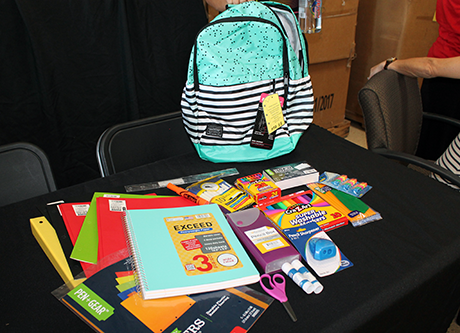 This year, The Karas Group held a backpack drive for St. Vincent de Paul and generously donated 200 backpacks! This additional support helped us provide more children in need with the basic foundation to start a new school year off on a positive note. Working to fill that void is our mission each day. For us, school is always in session—and we are always working to provide support for hundreds of underserved children. The Dream Center is where students play games, build lifelong relationships and learn with academic mentors in a safe and nurturing environment. St. Vincent de Paul aims to be the constant in our student’s lives, because we believe that personal consideration and individual support will inspire our students to dream big.